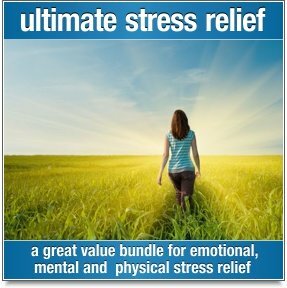 • A more potent overall response to your guided meditation program. 1. You might need to listen a few times before you get really nice and comfortable with a new guided meditation. We've noticed that some people have a tendency to mentally over-analyse guided meditations when they first listen to them. Rather than "going with the flow" and relaxing into the meditation, they listen too intently. Be sure to listen to your meditation on more than one occasion and you'll quickly become more and more attuned to it. You’ll become familiar with the music and you’ll start to feel acquainted with the speaker. This is a nice place to be, but you might need to listen to your guided meditation a few times before you really get into the groove. 2. The positive effects of guided meditations are cumulative. So even though you will experience benefits from your guided meditations from the first time you listen, with repeated use these benefits become more deeply embedded. So relax. You can come back to your guided meditation tomorrow and the day after that for as long as you like. The more the merrier! You can actually enhance your guided meditation by creating a sense of "ceremony" around it. Taking extra time out to get into a relaxed state of mind before you begin your guided meditation can help to take your experience to a whole new level. You'll go deeper, the health benefits will be greater, and you'll emerge from the meditation feeling far more relaxed and whole. You'll find that guided visualizations will be more vivid and much easier to connect with when you begin your meditation in a nice relaxed state. Of course, these steps aren't essential. Guided meditations are innately relaxing and you can enjoy them whenever you've got some spare time up your sleeve. But if you can afford to spend a little extra time creating a sense of occasion around your guided meditation, you’re going to double both your enjoyment and the positive benefits too. A great way to enhance your guided meditation is to create a relaxing atmosphere in the place where you intend to listen to it. Light a candle or three. Burn a little incense. Play some meditation music. Dim the lights. Goodness...I’m starting to feel relaxed just writing about it! If you like the idea of creating your own special sanctuary for meditation, you might like to take a look at this guide to designing a meditation room. This one simple step is one of the easiest, quickest and most powerful ways to enhance any form of meditation. 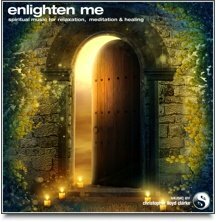 "Setting Your Intention" means focussing yourself and dedicating yourself to the guided meditation you are about to enjoy. Setting your intentions is an incredibly easy thing to do. All you need to do is come up with a positive intention statement that helps you to feel committed to your guided meditation journey. Then speak this statement to yourself, either mentally or verbally. "I now intend to meditate deeply for the next thirty minutes. 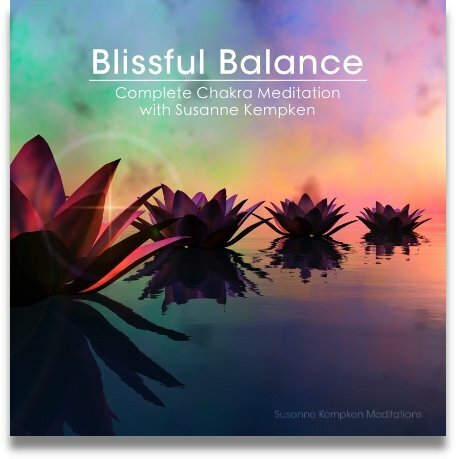 During this time I will give my full attention to this guided meditation. I devote my mind, body and spirit to this guided meditation, which is dedicated to peace and healing". Your positive intention statement should be personal and meaningful to you. It need not be a page long! A few well chosen words may be all that's needed for you to feel a connection with your intention. "I am here to meditate. That is all. I let go of everything else for now." The most important thing to remember when setting your intention is to take it seriously. Connect with the words as you speak them. If your intention is sincere then it will be all the more powerful. Before you begin a guided meditation, start by repeating your positive intention statement to yourself. Notice how doing this makes you feel much more focussed and more "here and now". When your guided meditation is complete, please don't jump to your feet and start rushing about. You might feel drowsy, so take a few minutes to gradually return to a normal waking state. As you slowly become more alert, you might like to contemplate your guided meditation journey and bring to mind any notable events that took place along the way. This is a great time to reflect, contemplate and assimilate what you've just experienced. It's time to go and enjoy a guided meditation. Enjoy!